You can create purchase expenses from scratch or from your receipts. There are a few different options for creating purchase expenses. 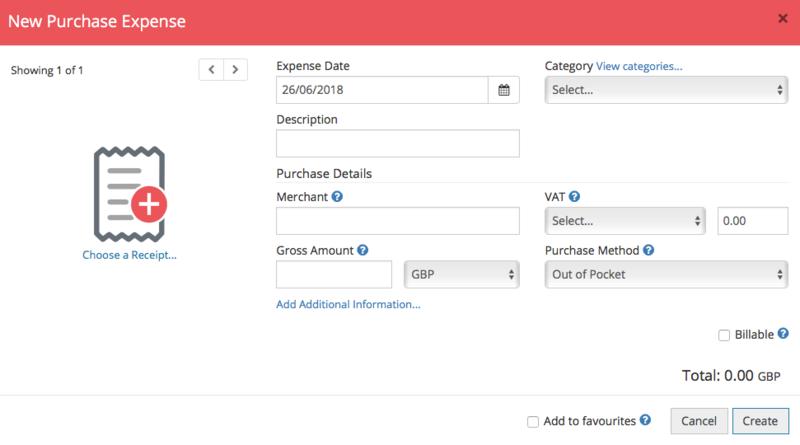 You can create expenses on your web-portal or you may also want to download the ExpenseIn mobile app and create expenses on there. 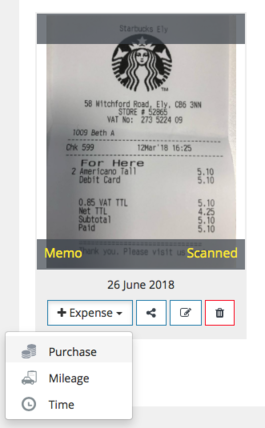 Check out our capturing receipts article for more information on how to capture receipts on your web-portal. 1. Your captured receipts will reside in your Unattached receipts section. 2. Click the + Expense dropdown and choose Purchase. Providing the scanning process was able to extract the Date, Merchant, Gross Amount, VAT and currency, this will be pre-populated on your expense form. The memo that was added when uploading the receipt will be populated as the description. 3. The category will need to be assigned (unless this is configured as optional). 4. If applicable, you can assign projects and/or custom fields to the expense. Click Create to add that expense to your account! 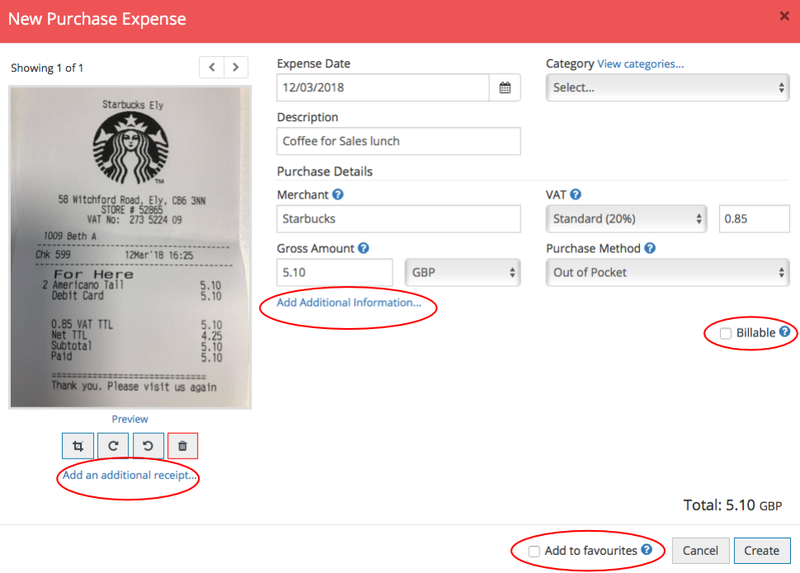 You can add multiple receipts to your expense by clicking Add an additional receipt. If your expense is going to be recharged back to a customer, you can tick Billable. If you want to add more information to your expense, you can click Add Additional Information. If you create this expense regularly you can tick Add to favourites. This will create a template for you and will be stored in your Favourites area. 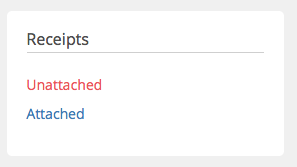 If you have any receipts that have been sent to your email address, you will want to check out our email-to-receipts feature to get those receipts onto your account. Please note: If your finance team upload card statements on your behalf do not create expenses from these receipts as you will create duplicates. We would suggest creating expenses from your receipts as you benefit from our receipt scanning process. However, if you don't have the receipt or would prefer to input the expense information yourself you can create expenses from scratch. 1. Click the Purchase icon. 2. This will open a blank expense form that you can populate with your data. Click Create to add that expense to your account.